Earn ranks and climb from a lowly cleaning crew member to a powerful studio head! Points earn you bonuses which can be strategically used on lifelines for those extra-hard questions. 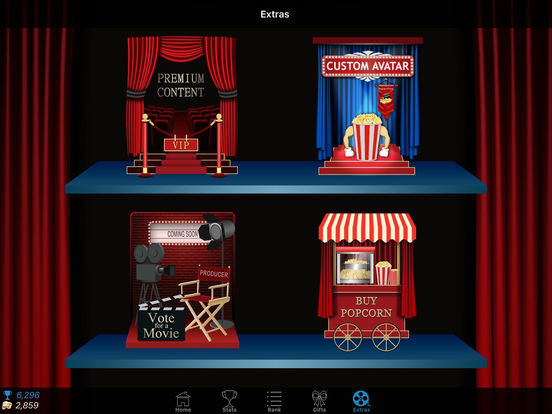 Choose from a wide range of movies across all genres. 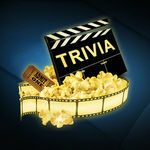 Challenging questions that test your film knowledge. Questions are cleverly crafted by true cinephiles. Encounter a wide variety of questions. Great at parties or on your own. New movies added weekly. 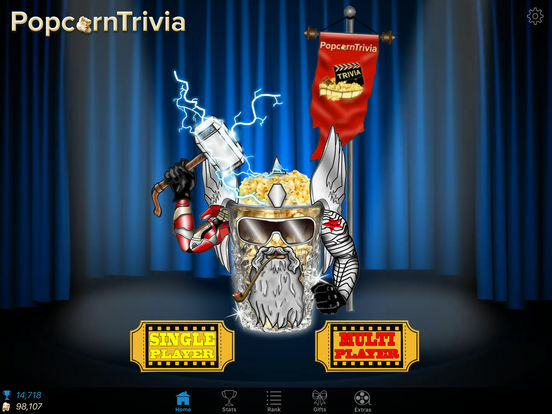 Answers offer trivia bits about your favorite movies. 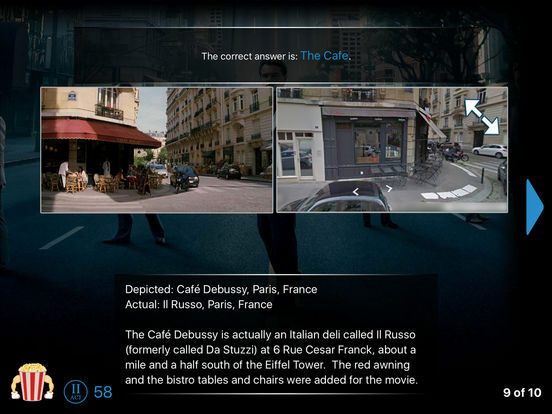 From the people who brought you CustomPlay, The Ultimate Movie Companion App for iPad and iPhone, comes a movie trivia game for your tv! It's fun, addicting and entertaining! 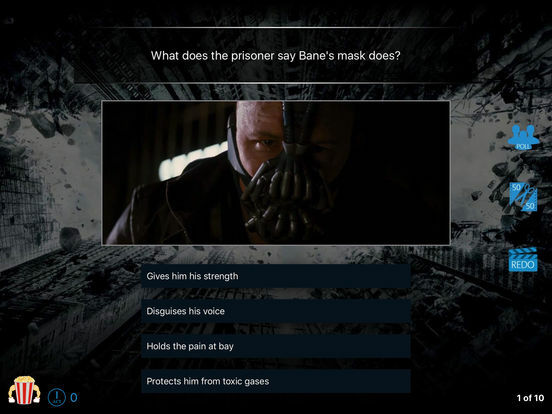 If they gave out Oscars for fantastic movie trivia based quiz games, then CustomPlay would definitely have one on their mantelpiece. 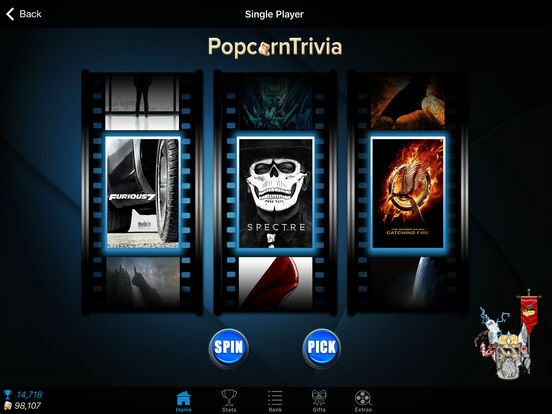 PopcornTrivia is a slickly designed and expertly executed masterpiece of the genre that’s only going to get bigger and better as new content is continually added.